The cheapest out of pocket option is to rent Office 365 Home. It costs $6.99/month or $69.99/year. 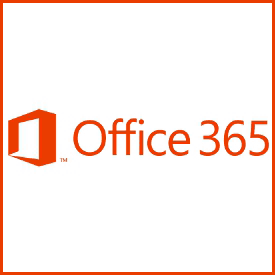 The Office 365 Business costs more but it includes a SharePoint website. It costs $5-$12.50/month per user. If you need Office on multiple PCs then it’s cheaper to get a premium subscription. If you need the Professional version on multiple PCs then a subscription is a no-brainer. Note that Windows Vista users, will have to opt for Office 2010. Office 2013 and Office 2016 are not supported for Vista. Upgrading to Office 2016 or Office 365 is very simple. You can get started with a trial subscription . You get access to the Professional Suite plus 20G OneDrive and 60 minutes of free Skype phone calls/month. You also get free upgrades and best of all you can use the software on 5 PCs or Macs. The down side is that you don’t get a permanent license. Student 2016 for $149.99 from Microsoft but it doesn’t include Outlook. If you want Outlook it will cost you $229.99. If you need Publisher or Access you need the Professional version which costs $399.99. You can find cheaper prices with a Google search. Nextag shows the Professional version for as cheap as $164 but then you need to investigate the seller’s reputation. You can also buy an older version of Office like Office 2010 or Office 2013. If you don’t need the features of newer versions then you can get the older versions cheaper using Google & Nextag. Again you will need to validate the reputation of whomever you purchase from. This route is mandatory for Windows Vista Users. Windows Vista has roughly 3% of the desktop operating systems. Windows 10 Upgrade, should I allow it? Here’s a possible scenario. Let’s say that your outdated product has the same code as newer vesrions that get security updates. The update can be reverse engineered to find the vulnerablity in your product which is not patched!